The Department of Pharmacology of the Medical School of Ribeirão Preto of the University of São Paulo counts on technical and administrative employees, who perform the most diverse functions in the departmental context. Graduated in Chemistry from the University of Ribeirão Preto (UNAERP), he has worked in the Department of Pharmacology since 1980. Currently, he works in the laboratory of Prof. Hélio Zangrossi Júnior, in experiments that involve studies on behavior. Laboratory technician (middle level), has worked in the Department of Pharmacology since 1989. Currently, she works in the laboratory of Prof. Fernando de Queiróz Cunha, in experiments involving inflammation. Holds a bachelor’s degree in Biological Sciences from the University of Franca, performs the functions of Laboratory Technician (medium level) in the laboratory of Profa. Rita de Cássia Aleixo Tostes Passaglia, in experiments related to arterial hypertension. Laboratory Technician (middle level) of the Department of Pharmacology since 2010. He currently develops activities at the Laboratory of Neuroanatomy & Neuropsicobiology of Prof. Norberto Cysne Coimbra. Laboratory Assistant (basic level), has been working in the Department of Pharmacology since 1994. Currently, she works in the various laboratories in the department, taking care of the washing and sterilization of the materials used in the research. 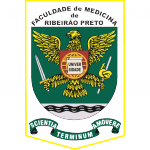 Graduated in Biological Sciences at the Medical School of Ribeirão Preto, USP, has been working in the Pharmacology Department since 1989. She has been working as a Laboratory Technician (top level) since 1989. She is currently responsible for Histology of the department, developing their experiments in the laboratory where facilities for radioimmunoassay, histology and photographic development are added. Laboratory Assistant (basic level), works in the Department of Pharmacology since 1989 and currently develops activities in the department store, in the treatment of animals used in laboratory research. Laboratory Assistant (basic level), works in the Department of Pharmacology since 2013 and currently develops in the laboratory of Profa. Michele Mazzaron de Castro, in experiments involving research related to hypertension and cardiovascular pharmacology. Graduated in Biological Sciences from the Faculty of Philosophy, Sciences and Literature Barão de Mauá, in Ribeirão Preto, and Master in Medical Sciences from the Depto. Of Medical Clinic of FMRP-USP. He has worked in the Department of Pharmacology since 1987 and currently works in the laboratory of Prof. Fernando Silva Carneiro, in experiments involving studies of the mechanisms of erectile dysfunction in heart failure. Graduated in Business Administration from the Moura Lacerda Teaching Institution, in Ribeirão Preto, develops activities at the Department of Dept. Of Pharmacology since 1986. These activities are linked directly to the undergraduate teaching of the Medical School of Ribeirão Preto. In addition, he is responsible for the secretariat of the head of the Department of Pharmacology. Graduated in Biomedicine from the Faculty of Philosophy, Sciences and Literature Barão de Mauá, in Ribeirão Preto, has been working in the Department of Pharmacology since 1998, performing the functions of Laboratory Technician (middle level). Currently, he works in the laboratory of Prof. Fernando de Queiróz Cunha, where he performs experiments in vivo and in vitro, involving inflammation and sepsis. Laboratory Technician (middle level), has worked in the Department of Pharmacology since 1981. She is currently working in the laboratory of Prof. Fernando Morgan de Aguiar Corrêa, in experiments involving blood pressure and central nervous system. Graduated in Biology Faculty of Philosophy, Sciences and Literature Barão de Mauá, in Ribeirão Preto, has worked as a biologist in the Department of Pharmacology since 1986. Currently, she works in the laboratory of Prof. Thiago Mattar Cunha, in experiments that involve pain. Laboratory Technician (middle level), has worked in the Department of Pharmacology since 1978. Currently, he works in the laboratory of Prof. Fernando Morgan de Aguiar Corrêa, in experiments involving histology. A Bachelor of Science in Computer Science, has held the position of Technical for Financial Affairs since 1996 in the Department of Pharmacology. Its activities consist in developing works of financial, patrimonial and treasury, referring to the subjects that involve the department. Among these activities, it assists in the financial control of existing FAPESP projects. Physiotherapist graduated from the Medical School of Ribeirão Preto – USP, works as a Laboratory Technician (middle level), in the Department of Pharmacology since 2010. She currently works in the laboratory of Prof. Dr. Leonardo Resstel Barbosa Moraes, in experiments involving blood pressure and central nervous system, as well as histological techniques related to the subject. Laboratory Technician (middle level), has been working in the Department of Pharmacology since 2012. Currently, he works with the departmental laboratory and also with Profs. José Carlos Farias Alves Filho and Thiago Mattar Cunha, developing diverse activities in dealing with animals and in scientific experiments. Laboratory Technician (middle level), has been working in the Department of Pharmacology since 1986. Currently, he works in the laboratory of Prof. Francisco Silveira Guimarães, where he performs the necessary procedures to perform stereotactic surgeries in experiments involving the central nervous system. General Service Assistant (basic level), has worked in the Department of Pharmacology since 1989. Currently, she works in the various laboratories in the department, cleaning and sterilizing the materials used in the research. Graduated in Biology Faculty of Philosophy, Sciences and Literature Barão de Mauá, in Ribeirão Preto, has worked in the Department of Pharmacology since 1984. He currently works in the laboratory of Prof. Leonardo Resstel Barbosa Moraes, in experiments involving blood pressure and central nervous system, as well as histological techniques related to the subject. Laboratory Technician (middle level), has been working in the Department of Pharmacology since 1981. Currently, he develops several laboratory work in the department. Laboratory Technician (middle level), graduated in Biology and began her duties in the Department of Pharmacology in 2010. Currently, she works in the laboratory of Prof. José Eduardo Tanus dos Santos, in experiments involving drug analysis aimed at the treatment of cardiovascular system problems. Laboratory Technician (middle level), has been working in the Department of Pharmacology since 1996. Currently, he works in the laboratory of Prof. José Carlos Farias Alves Filho, in experiments involving pain and inflammation. Graduated in Social Service from the University of Ribeirão Preto (UNAERP), has been working with the Department of Pharmacology since 1981. These activities are directly linked to the postgraduate teaching of the department. In this context, it assists post-graduate students in carrying out bureaucratic activities related to their scholarships. In addition, she is directly responsible for the preparation of CAPES Annual Report. Holds a bachelor’s degree in Chemistry from the University of Ribeirão Preto (UNAERP), has been working in the Department of Pharmacology as a Laboratory Technician (middle level) since 1984. He currently works at the Common Use Laboratory of the department where he conducts experiments in Immunohistochemistry, C-Fos, basic histology and staining of histological sections.